It’s a story of fashion infused with crisp cotton that is light, casual and very impressive. 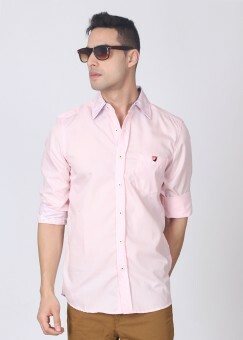 Flipkart.com brings American Swan Casual & Party Wear Shirts at fantastic discounts. Feel the soft pastel colors and checkered shirts bring you an essence of contemporary presentation of yourself that’s in the league. With patch packet on chest and curved hem, these shirts are able to put fashion back in the swing. Whether it is a corporate or social occasion, the American Swan shirts bring elegance and poise just the way it should be. Leave for your meetings and hang-outs with your friends dressed in them and see how everyone turns to you. How to get this American Swan Casual & Party Wear Shirts at discounted price of Rs 959? American Swan Men’s Solid Casual Shirt – Rs. 1599 Rs. 959. American Swan Men’s Checkered Casual Shirt – Rs. 1699 Rs. 1019. Make use of 40%+35% Extra Discount on American Swan Casual & Party Wear Shirts today.